The 30 Days of Lists Challenge- Pre-Register now! Hi Punk Projects readers, I’m Kam of Campfire Chic and I co-host a really fun challenge twice a year with Amy of Lemon and Raspberry called 30 Days of Lists. I’m here today to tell you a little about it and give you the opportunity to get a jump on registering so you get BONUS material. Why not take our challenge to make 30 lists in 30 days? We have 30 prompts to get you through the month PLUS much more. Each day for the 30 days, the 30 Days of Lists Team will post a new list prompt. All you need to do is make a list. The number 1 rule of 30 Days of Lists is that there is no wrong way to make a list! 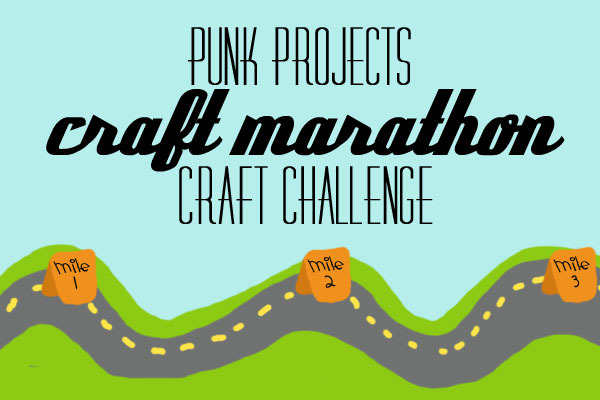 Did you join Craft Marathon? Why not create a notebook to use that is based on the week’s color? Or maybe some journaling tags to use that would go along with the challenge? Thinking of doing more than ‘just a list’? Check out some of Katie’s scrapbook pages for inspiration and motivation! Did you know she’s an award-winning scrapper?? And now it’s your turn to join the 30 Days of Lists community for the March 2012 challenge! The third edition of 30 Days of Lists is set to begin March 1, 2012, but the fun is starting NOW. Pre-register today for a bonus digital packet with exclusive tutorials, information about immediate access to the private 30 Days of Lists – March 2012 Edition blog, sponsor discounts, and a welcome letter from the #30Lists Team! The first 300 individuals to register (if we get that many!) are automatically entered to win a 1 year subscription to UPPERCASE Magazine. There will be plenty of other giveaways throughout February and March, so pre-registering now is a great idea. Pre-register now for one low price and join the fun!